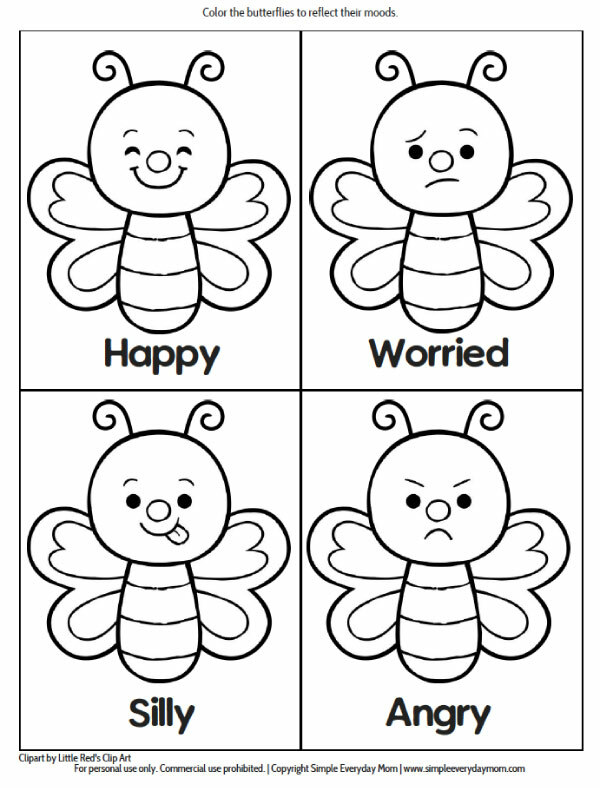 Inside: Use these insect worksheets with preschool aged children to teach and entertain! Lately we’ve been sharing lots of fun insect crafts for kids. So far we’ve done this popsicle stick dragonfly craft, this apple stamp ladybug craft, this recycled bee craft for kids and this insect sensory bin. Today, we’re diving a bit more into some educational worksheets kids will actually enjoy doing! 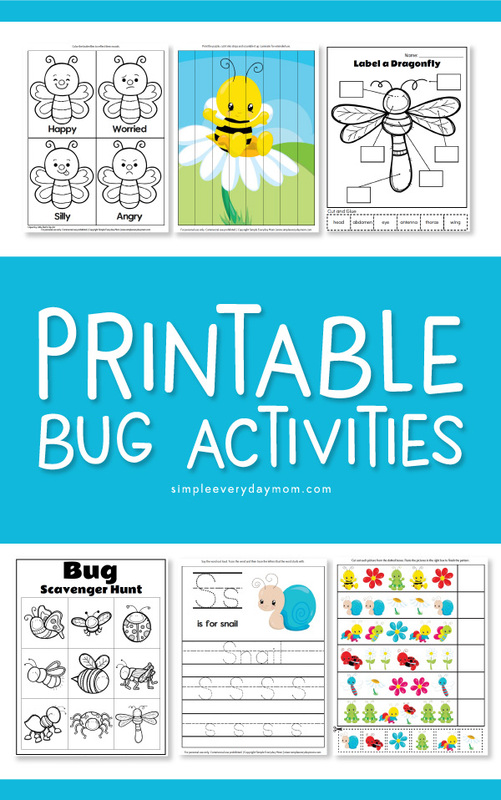 Read on below to see just how fun these bug printable can be. This activity pack is loaded with engaging activities for kids and includes 19 pages of printables. 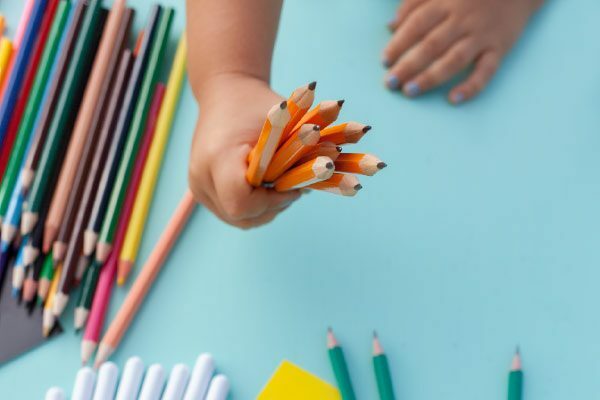 These worksheets and games are perfect for using in a home preschool setting, for fun with your kids or even in the school classroom. 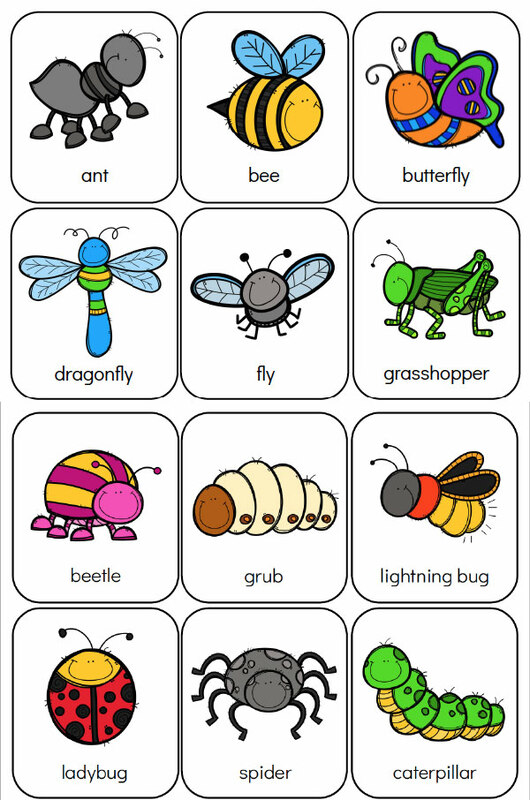 The first thing we knew we had to include in this bundle were these insect flashcards. We’ve made space flashcards, human body flashcards and these nature flashcards and each time they’ve been a hit. 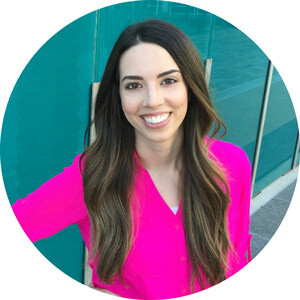 There are just so many ways to use flashcards (which aren’t boring at all!! 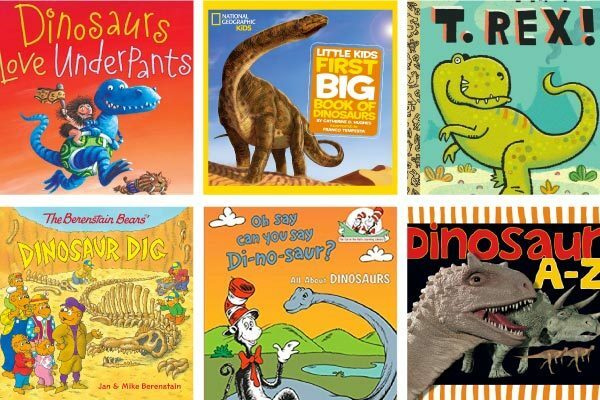 ), that you’ll love having these when your kids are learning all about bugs. These strip puzzles are another fun way to keep the kids occupied and help them learn. 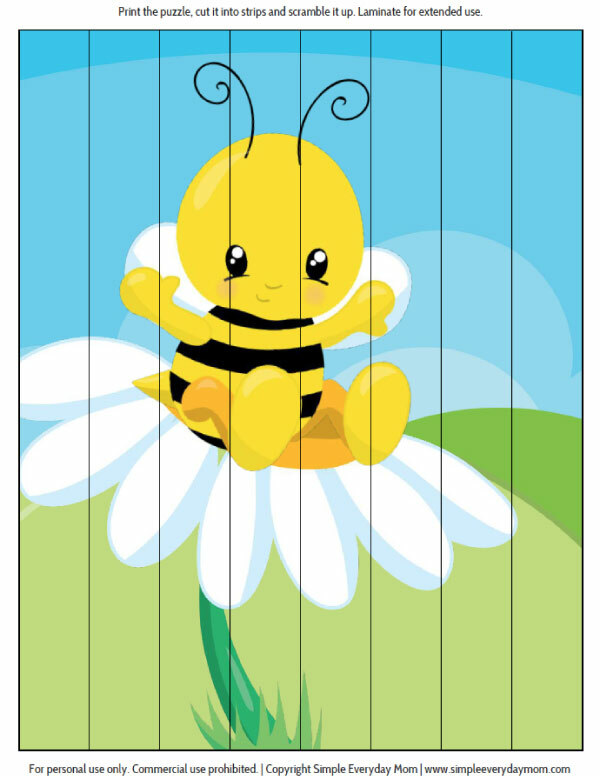 You can add numbers or letters to the bottom of each strip to help younger children piece them back together. This reinforces numbers, counting and letter recognition. 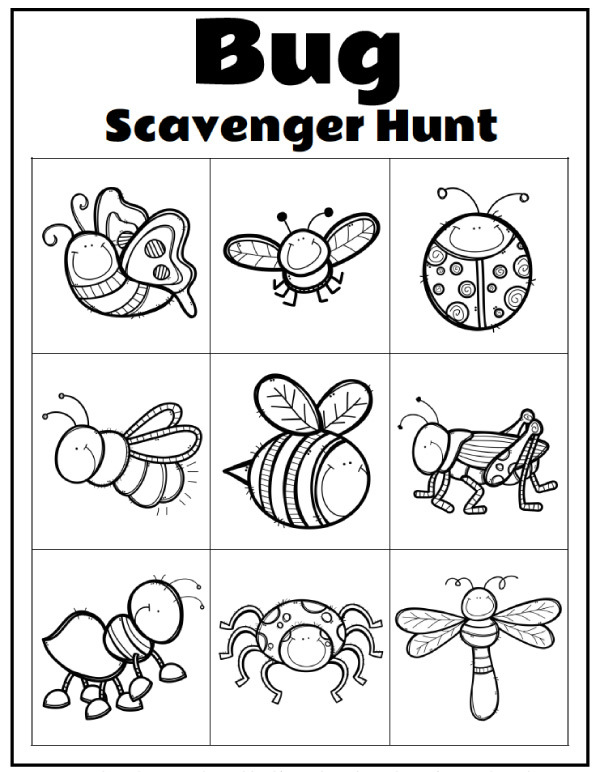 Get the kids outside with this bug scavenger hunt card. Kids can color all the insects first, then take it outside to find each of the bugs listed on the card. This is a great activity to burn off energy and let kids explore nature. With this colorful worksheet, children will work on fine motor skills to cut out each of the boxes at the bottom of the page. 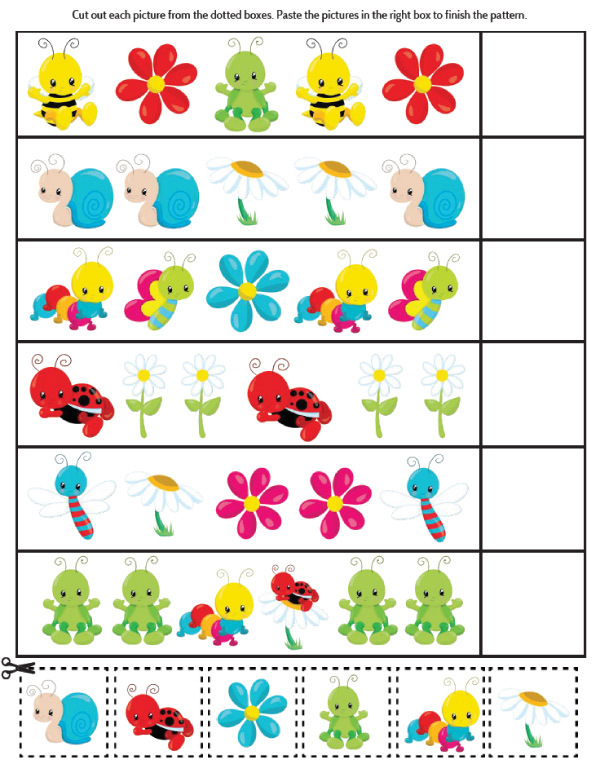 Next children will practice finishing the pattern for each group of bugs by gluing the correct square at the end of each sequence. 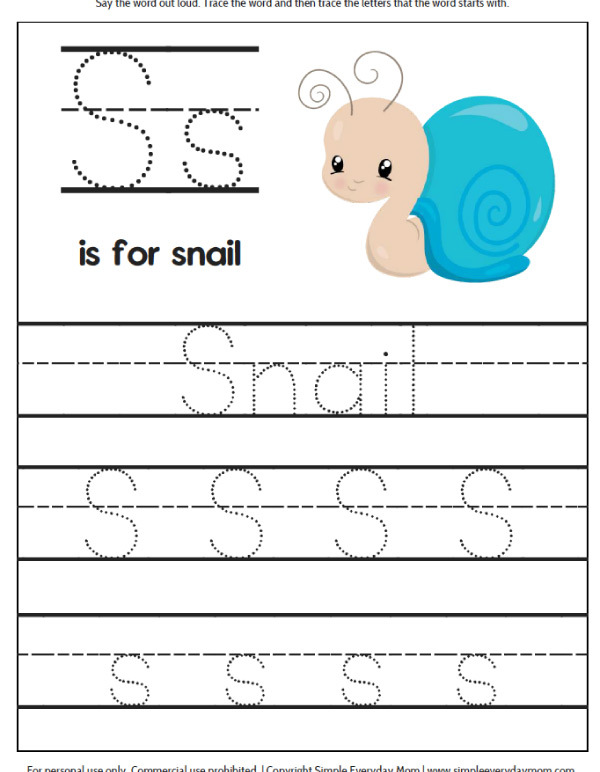 Help your children or students work on penmanship and fine motor skills with these 6 printable worksheets. 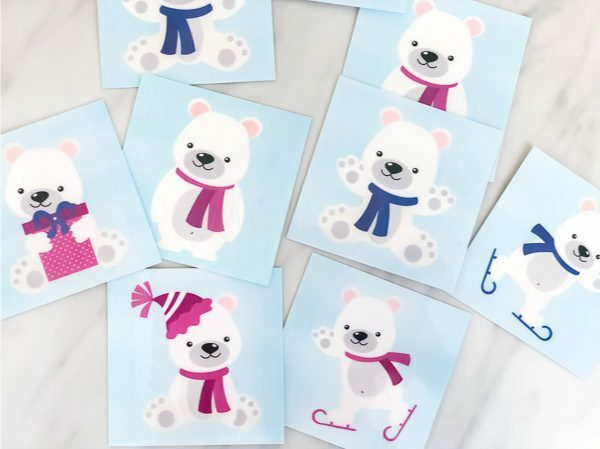 On each one, the child will trace a capital and lowercase letter, the name of the object on the page, plus practice the alphabet more with the rest of the page. Let children learn how to express their emotions and work on social cues with these butterfly coloring page cards. Each card shows the butterfly making a different face from happy to silly to angry and more. The corresponding emotion is written on the bottom of each card. 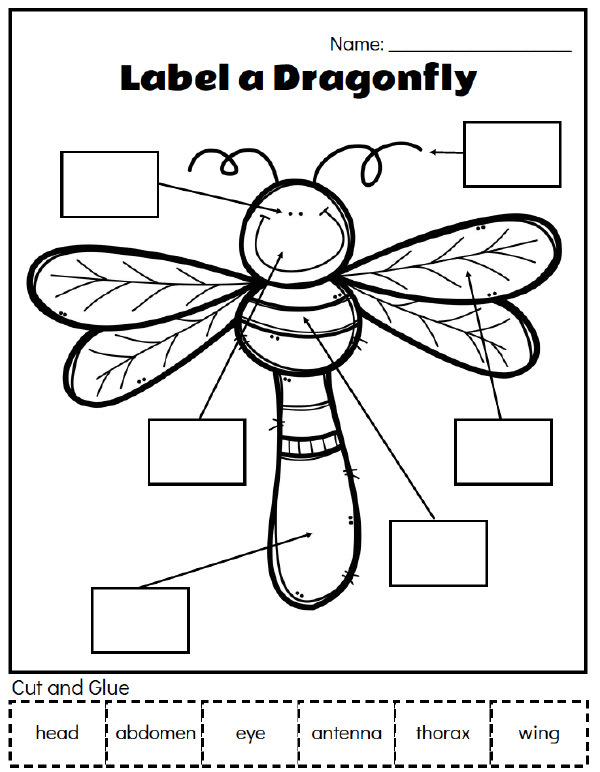 The last two pages included in the insect activity bundle are these dragonfly worksheets. The first page is for the child to color, cut and glue the parts of a dragonfly. The second page discusses simple facts about dragonflies and asks the kids to answer a few questions. 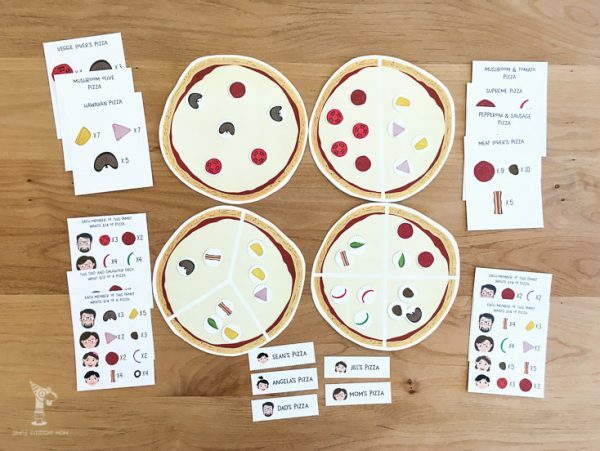 Don’t forget to enter your email in the form at the bottom of the page if you want to download your free sample of this bundle and receive the bug flashcards. If you’d like the entire bundle pack, you can buy it below!